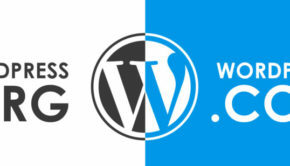 WordPress is already a popular CMS, and its popularity is rising. It currently has a 59.4 percent market share. To give you an idea of how big this is, the next CMS on the list is Joomla, which only has 6 percent. A good (or bad depending on how much you like learning new things) element of WordPress is its frequent updates that bring a host of new features. WordPress is 5.0, or Bebo, was released on December 6th, 2018. 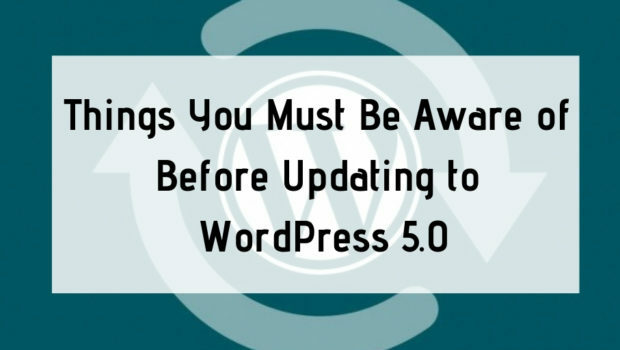 If you are a WordPress user and keen to update to this new version, here are 6 things you must be aware of before you do, but keep in mind, this is a significant update so the following points are crucial to ensure you don’t cause damage to your site and business operations. 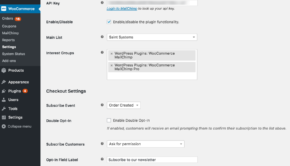 WordPress 5.0 hosts a range of new features including a new theme for 2019 and an inbuilt Gutenberg editor. The good news is Gutenberg is drag and drop making it very user-friendly. Basically, Gutenberg lets you customize each block without having to change the whole page. This means that multiple styles and designs can be added into one section of a page. The idea here is to let users get a bit more creative with their website. Pro tip: If you use a theme that includes a page builder tool, testing is particularly pertinent when the Gutenberg editor installed, you want to ensure that all of your page layouts look correct. 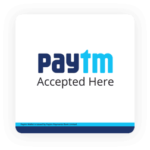 If you are unsure about your particular theme’s compatibility, simply email its developers. It is always a good idea to backup your website before changing to any new WordPress version. Better to be safe than sorry, right? Updating to a new release runs a small risk of corruption, meaning you could lose everything, and that is not what you want. This is why a backup of your website is vital (you should have one anyway) because even in the unfortunate case of corruption, you can quickly restore your data. There are plenty of WordPress backup plugins, and it wouldn’t hurt to run regular backups just to err on the side of caution. Your plugins, themes, and site are connected to the database with the programming language PHP. It processes your workflow with PHP 5.6 (which is backward compatible) basically running everything in your site. Other software can cause issues however as it may not be compatible with PHP so install the most recent PHP that is compatible with WordPress 5.0 to steer clear of any potential problems. 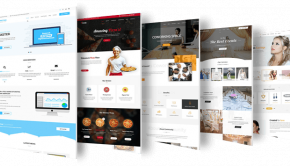 Staging is the process of making a copy of your website which you can mess around with and make changes to, without affecting your main site that is viewable to the public. This is a great way to ensure that your changes are compatible, and avoid any harm if they are not. This can happen via a plugin or on a test server and is a very simple way to avoid significant problems. The staged website is hidden so search engines won’t be able to find it. There are tools available to help you with staging and redesigning your entire website. 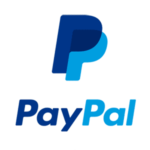 WP Stagecoach, in particular, is easy to use with an intuitive interface. Your installed plugins should always be up-to-date. Just like backing up your whole site, having the latest versions of your plugins is good practice. 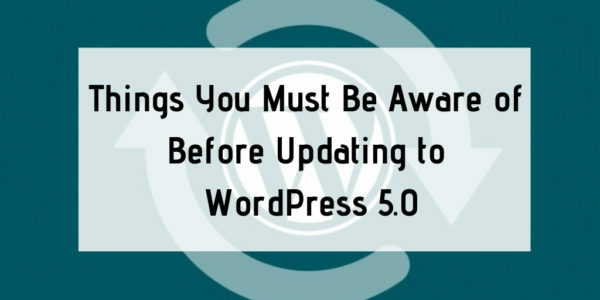 This will ensure that your plugins are compatible with WordPress 5.0, or any other versions you will eventually upgrade to. Take for example the release of WordPress 5.0; all plugins are updated with a new version. There shouldn’t be any issues, but it won’t hurt to do a little run through and make sure that all of your plugins are working as they should. You should actually perform this action before updates to anything, including small stuff like plugin and themes. 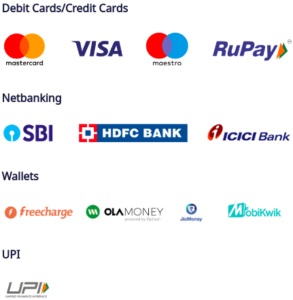 We’ve listed some of the features and benefits above but postpone updating if you are about to hit a busy period. Allow time for you and your staff to get used to the new update, after all; it’s not going anywhere, if anything, there may be some new patch releases between now and when you update. It’s also important to note that not all plugins will be ready to work with WordPress 5, so if you have some important plugins that you regularly, check that they have WordPress 5 compatibility. Most should by now, especially the big ones like Yoast SEO. You can check that your plugins are compatible by testing the plugins documentation to ensure that they work with Gutenberg. Stick with the Classic editor plugin if they don’t, until they are ready. As for the all-important question of should you update? As with all new updates, they refine as time passes, so there is seriously no rush, it can only get better. If you really like the sound of Gutenberg and what it can do, maybe you love the look of the new Schema for example, then go for it! If you have more pressing matters, however, hold off. Don’t be scared of the updates; they will likely make your life easier once you have figured them out. Just be prepared for any bugs or issues by running through the steps listed above and protecting your site with backups etc. 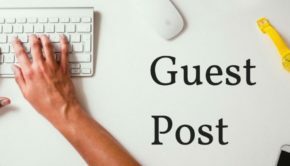 You can also find various forums with discussions from other users that will indicate if anyone else has come across errors with troubleshooting tips to help you out. WordPress 5.0.1 is technically the latest version which includes a few bug fixes for 5.0 as well as a security release. If you haven’t updated yet, 5.0.1 is the standard, if you have, grab the newer update now. James Silverwood is the digital marketing manager for Perpetual Strategic Services which is the fastest growing web design agency in Riyadh.